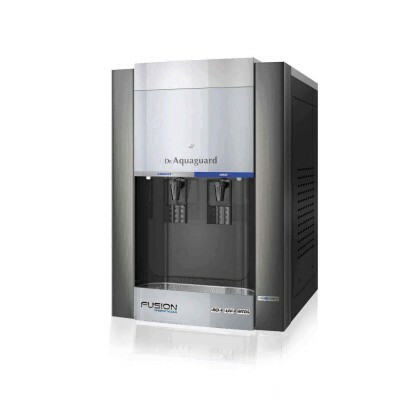 Aquaguard presents Absolute UV, a universal water purifier, which dispatches water at hot, cold and ambient temperatures. 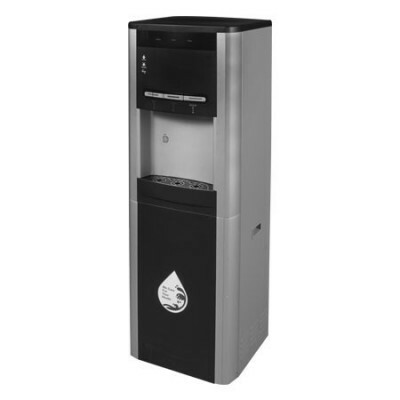 This has a storage tank of 16.6 litres that makes it ideal for offices and would help keep your employees healthy. Its storage tank makes it ideal for areas that see power interruptions. 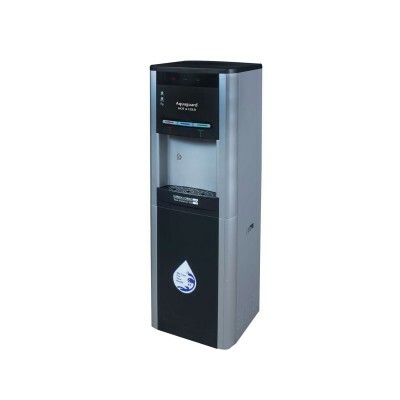 Its Biocote technology protects the surface of the purifier against any possible microbial growth. 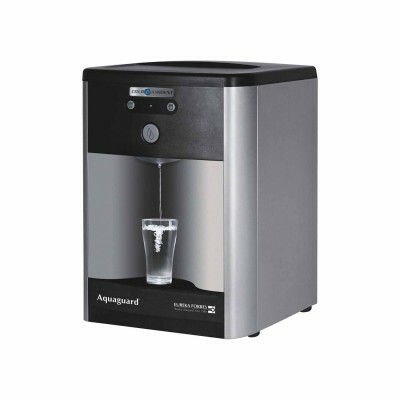 Aquaguard Hot & Cold (UV) Water Purifier has 3 core technologies which mean that what you get out of your machine is much better than what goes in. In- tank UV technology removes waterborne organisms that may cause diseases. 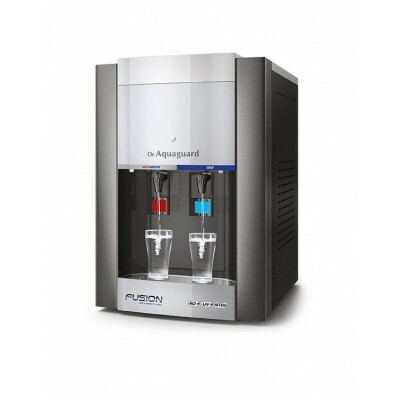 The Ultra Violet lamp inside the tank purifies the water and wipe out harmful viruses and bacteria such as E.Coli, Salmonella and Hepatitis to guarantee a safe, clean drink. 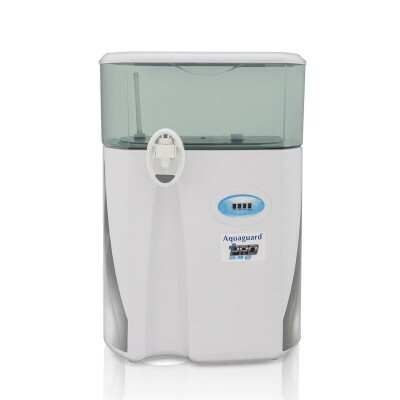 Reverse Osmosis removes all contaminants, including fluoride. UV technology eliminates virus and bacteria. High water storage capacity for a constant supply of fresh water. Gravity-fed storage tank providing additional stored water, ideal for areas where there may be disruptions to the water supply Drip tray drainage for convenience.